Last month, a photographer+storyteller based in Seattle that I've been following on social media asked if she could do a portrait interview of me. 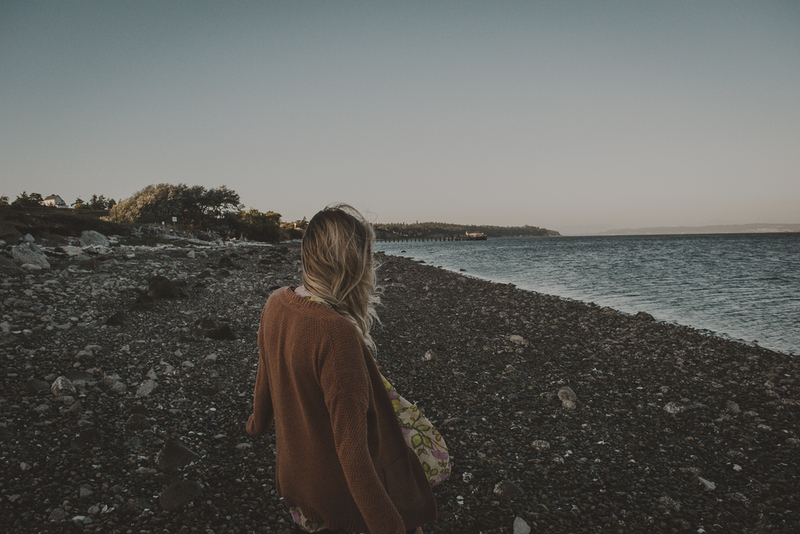 I was up in Washington for a month of really difficult treatment for my chronic illness, but took an afternoon off to travel out to Whidbey Island for the shoot. I never imagined how healing this adventure would be. This woman - her soul - wow. We shared stories and life secrets like we'd known each other all our lives. We walked through ice cold water to get to a beautiful beach with driftwood. We took photos until we were frozen, and the sun danced behind the treetops, eventually disappearing behind the mountains. We had a picnic in the car, heat blasting, with numb noses and toes...And on our long drive home, I told her a little bit about what it meant for me to be ill, but more so, what it meant for me to step out of the shadows, and into the light. My illness stripped me of my job, relationships, independence, confidence -- the life I was building as a young 20-something grad. But it has gifted me so much, more than I could imagine. Doing this shoot made me feel more empowered than I've felt in a very long time. I felt beautiful, strong, whole. Thank you Danielle for capturing these, for sharing your time and talent. I cannot wait to see the final project. Check out the rest of Danielle's features on her blog and Facebook page.